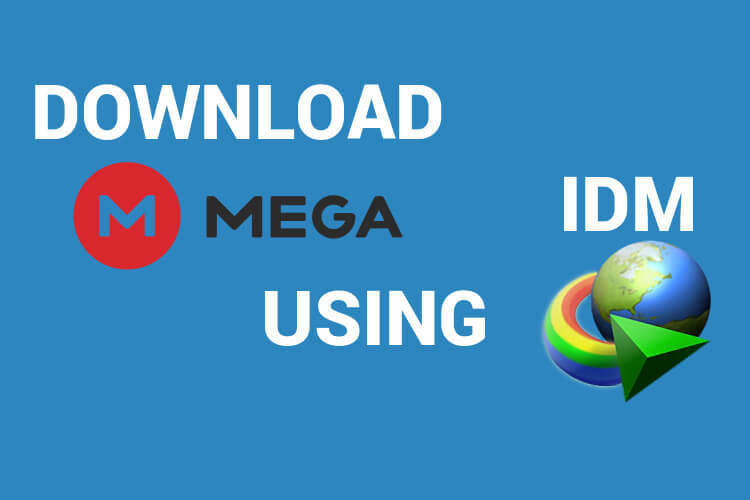 Until now we’ve used the well know guides of Mega Link Downloader or MegaTools for downloading Mega Files. But what we didn’t know is that we can actually download Mega Files using IDM directly enjoying all the features that IDM has to offer. IDM or Internet Download Manager is very popular because it enables faster download speeds and comes with sophisticated features. Features like Pause, Resume and Stop the download if necessary set it apart from any download manager out there. In the case of downloading files from Mega.NZ the default what we are left is to choose browser download method which has several disadvantages due to the errors like Your Browser Storage for Mega is Full while downloading. The alternate way is via MegaSync which doesn’t let us Bypass Mega Download Limit Transfer Quota Exceeded Error. So we’re left with using MegaDownloader for downloading. IDM or Internet Download Manager gives the most speed out of it rather than browser download methods. So, why not use the same popular IDM for Downloading Mega Files? Before going into the procedure lets just talk about the prerequisites for this guide. You’ll need Internet Download Manager or IDM installed and ready to go on your PC. Once it is downloaded and installed. It’s time to grab the Mega download link. Keep note that as mentioned earlier in several guides, link without a decrypted key is not going to work. 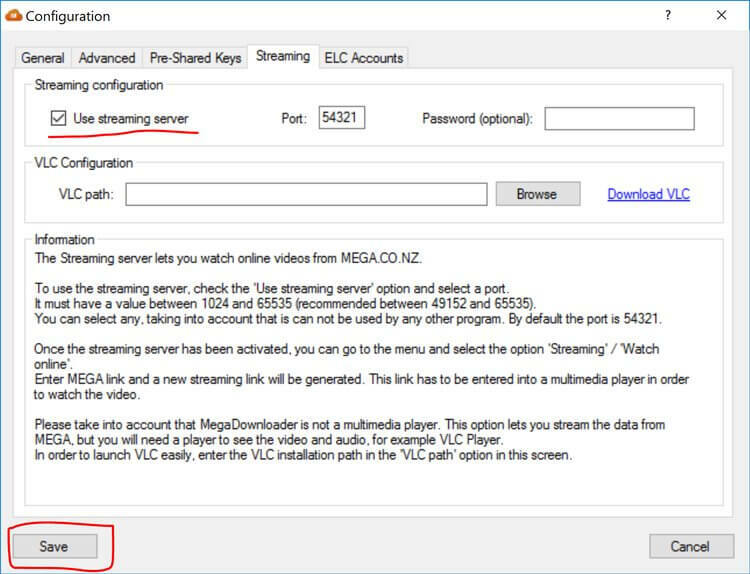 Then head over to the installed MegaDownloader 1.7 and select Options –> Configuration –> Streaming –> Tick ” use Streaming Server ” –> Save, as shown in the below pic. Once, the options are saved then click on Streaming –> Watch Online and then paste the previous copied Mega URL in the tab and copy the Streaming Link as shown in the below pic. 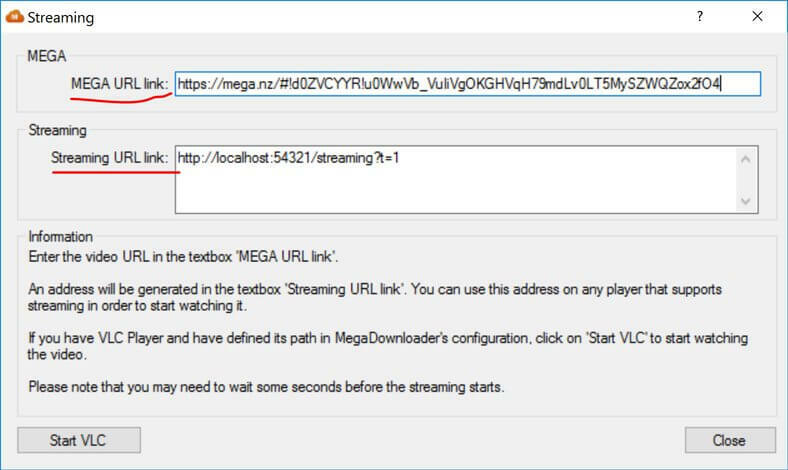 Paste the copied streaming URL into the Internet Download Manager Add URL tab and as you can see the IDM has detected the File Name and size of the Mega file. 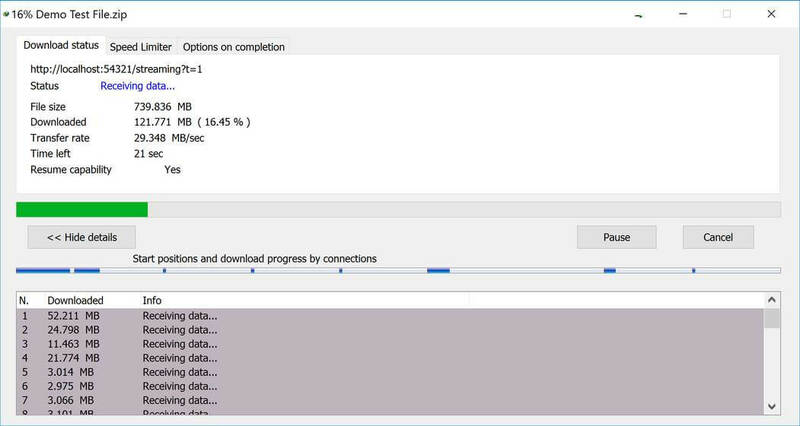 You can now start the download, Pause, Resume and even stop the download at any time. Also, the download speeds are awesome because of IDM’s optimizations when you download Mega Files using IDM. You can get faster download speeds when downloading via MegaDownloader but using IDM is much better. Also, it has become a mainstream downloader for most users. As you can see that IDM really pushes the limit of Mega Servers and takes advantages of the speed offered by the cloud storage. As mentioned earlier this procedure doesn’t work with links without a decrypted key. Make sure of it when trying to Download Mega Files using IDM. Also, the streaming link feature helps not only for downloading files using downloader manager but there are various others. You can stream files directly with media player. If you don’t prefer this method you can always use the existing downloading method on the software itself.